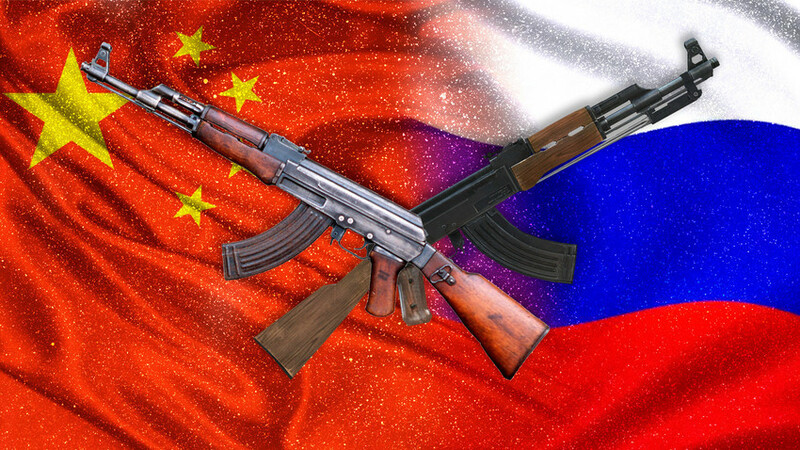 A former security contractor shares his views on how China was given Russian AK technology, and then inundated the world, especially the black market and a multitude of rebel groups, with its own version of the AK-47 assault rifle. Wherever you go in the world, people know what AK-47 (or just “Kalashnikov”) means. From Indonesian peasants to Mexican drug cartel members, as well as Pakistani police officers and Portuguese paratroopers, everybody knows this rifle, and they often have some fine stories to tell. Besides being carried in the hands of men, the AK can be found on flags, monuments and medals. In the latter part of the 20th century it has symbolized freedom and terror, resistance and oppression. No other weapon has inspired so many books, songs, artworks and exhibitions, not to mention created so much controversy. What people do not know, however, is that most Kalashnikovs in circulation around the world have nothing to do with Russia or the Soviet Union. 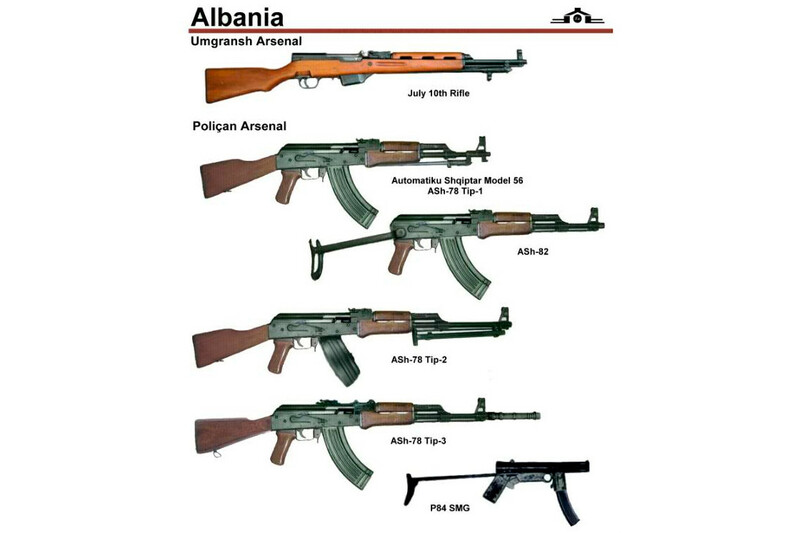 In fact, most were made in China, Romania, Hungary, Serbia, Poland, Ethiopia, or one of the 20 other countries that produced different versions of the AK. To give an example – when I worked in Iraq, out of 2,000 AKs that I inspected less than 10 were manufactured in the Soviet Union. That’s only 0.5 percent. All others came from a multitude of countries in Europe; and some were manufactured in Iraq during Saddam’s reign. One of the main reasons why Kalashnikovs are so numerous is the fact that in the 1950s North Korea, Bulgaria, Poland, Hungary and East Germany began making them. In the early 1950s, when the Soviet Union started a massive program of technology transfer to China, no one could imagine that the Asian country would soon become the USSR’s biggest competitor on the international arms market. In the late 1950s, the relationship between China and the Soviets began to deteriorate, leading to the Sino-Soviet split in the early 1960s. All military and technical assistance was terminated, and from that point the Chinese small arms industry developed independently without any influence from the Soviet Union. 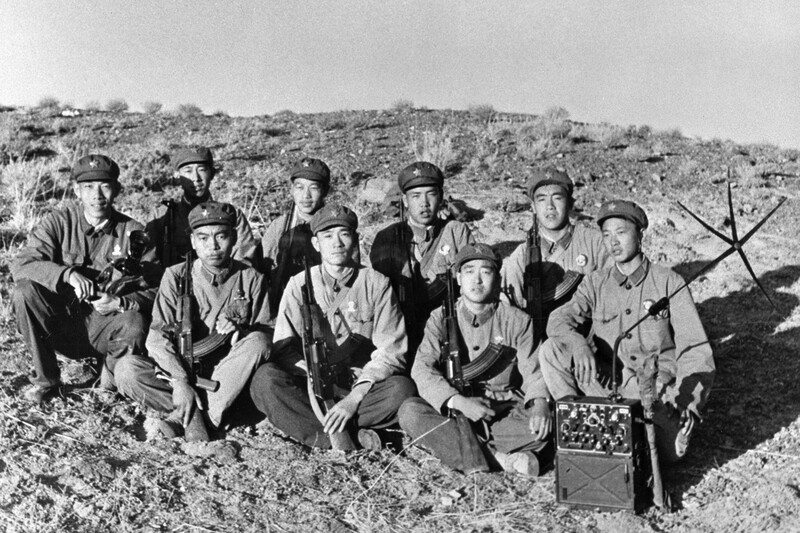 The conflict between the USSR and China reached its peak in 1968 with a brutal border conflict; probably the first, but definitely not the last time when Soviet soldiers faced an adversary armed almost exclusively with Kalashnikov rifles. The Soviet Union, which built AK weapons factories and trained Chinese engineers, now faced the fruits of its generosity. The consequences of this reckless technology transfer haunted the Soviet Union for years to come. Without any control or oversight from the original manufacturer, China created an enormous system of small arms production. Over a dozen highly classified weapon manufacturing plants were built around the country. Very little is known about them, but each stamped its rifles with a crude symbol – the number of the factory. The most famous is Factory 386, but there are many more: 26, 66, and the list goes on and on. The quantity of automatic rifles produced at those factories remains unknown, but it’s widely believed that China produced more Kalashnikovs than the Soviet Union, and my personal experience in the Middle East and Africa certainly confirms this. In most countries, the Russian-made AK is a treasured rarity and it’s usually much more expensive that those manufactured in other countries. What happened was that China also transferred technology to Albania, Sudan and Iran. Even today, Iranians make exact copies of Chinese AKs without any original markings on them, which insures plausible deniability if the weapons are found in the hands of rebels. 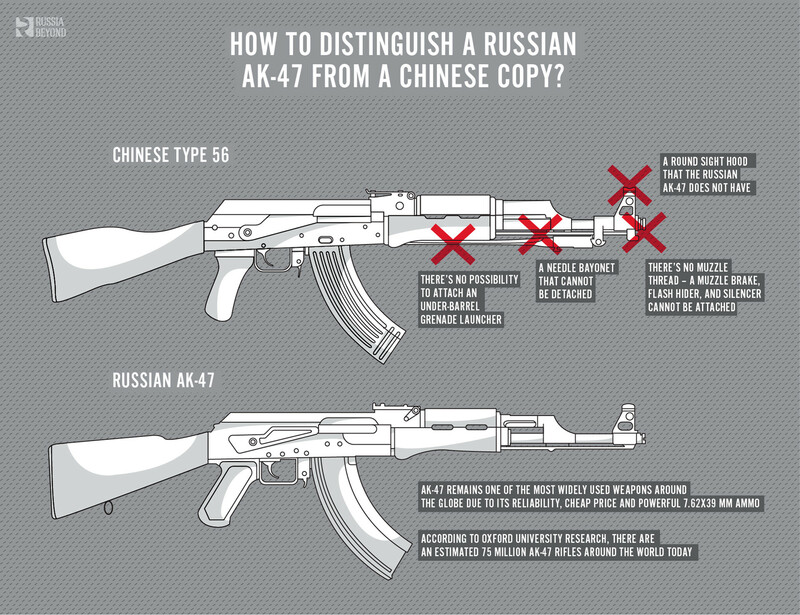 It is relatively easy to identify a Chinese-made AK and its derivatives. With a hooded front sight, it does not have a thread on the muzzle and the trigger guard is secured with two rivets; the Russian-made AK has four. Also, the folding stock version, Type 56-1, has additional rivets in the back of the receiver. Once, this helped me to solve the mystery of AKMSU – the unique Kalashnikov version that actually never existed. There are three basic types of Chinese AKs. The first is called Type 56, which has a wooden stock, and most of the time it features a folding spiker bayonet. The second is called Type 56-1, and has a standard Soviet under folding stock, but other than that it’s identical to Type 56. The third one is Type 56-2, and it has a very well-designed side-folding stock with a hidden compartment for the toolkit. The answer to this question is more complicated than you might think. American gun owners, who were able to buy civilian versions of Chinese AKs before they were banned in 1993, swear by them. At the same time, U.S. servicemen who encountered military grade AKs while serving overseas, are usually not impressed and report a multitude of problems such as stoppages, breaking parts and poor fit and finish. It took me a few years to solve this mystery. Initially, Type 56 was a standard Chinese army weapon with the level of quality control and dependability that you‘d expect from a military grade weapon. 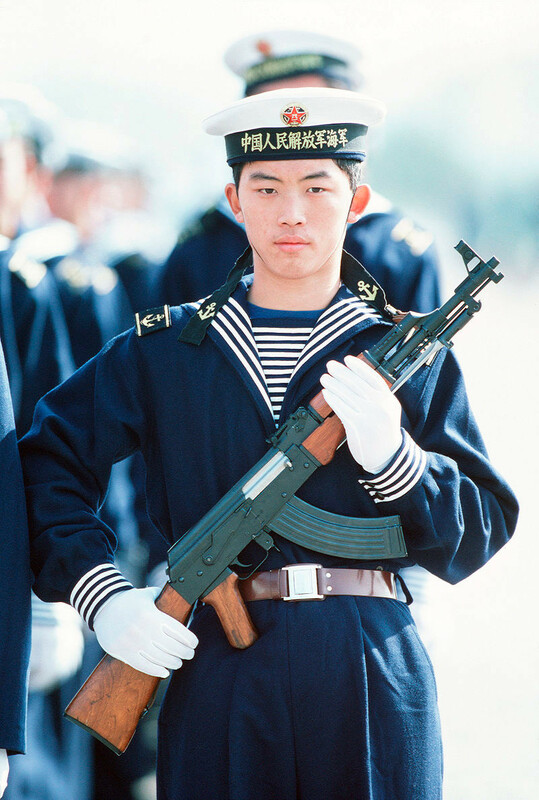 In 1995, however, China put into service a new assault rifle, the QBZ-95, which gradually replaced all previous small arms, including versions of the AK. Once the Chinese AKs were no longer procured by its military and the U.S. market was closed, the quality, as well as the price, started to go down dramatically. In recent years, it became possible to get a new Type 56-2 for $100, while other AK versions cost at least $400. The price of course reflects the quality – the chrome lining in the barrel falls apart after just a few hundred rounds, the parts are not fully interchangeable between weapons, and some pins are out of spec. The modern type 56-2 is the only weapon that I know of that can fail an elevation/depression shooting test - when you shoot pointing the barrel up or down. I always thought this test is silly and outdated, until I learned that the Chinese AKs fail it. Generally, when I encounter an older Type 56 - they’re good to go, reliable and dependable. They might look crude, but most can last a few lifetimes. At the same time, the new Chinese AKs don’t inspire much confidence, though the low prices make them very popular in impoverished parts of the world. In the end, however, it doesn’t seem that China is planning to close its remaining factories. Most likely, rusty Chinese AKs will continue to be a staple weapon of rebels, poorly equipped armies and police forces well into the 21st century.